Volunteers enjoyed lunch and a rally after working in the neighborhoods. 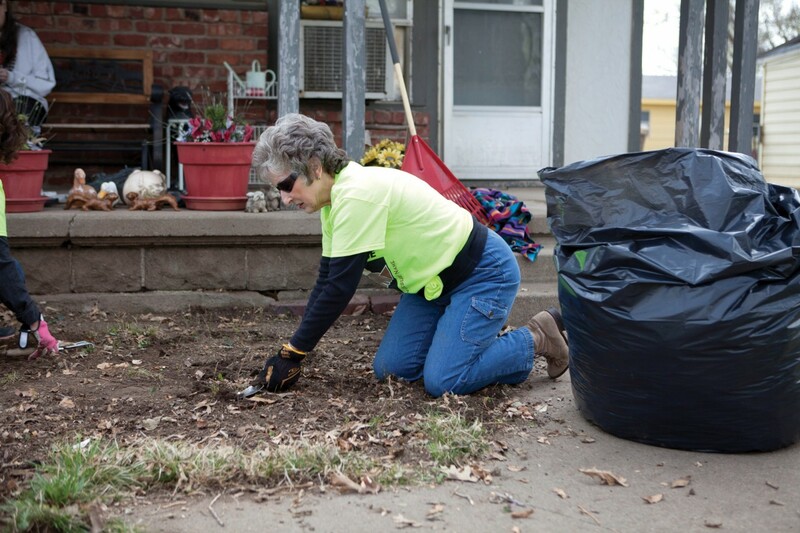 PONCA CITY—For the third consecutive year, Great Day of Service was observed in Ponca City, but this year, the number of volunteers grew extensively. 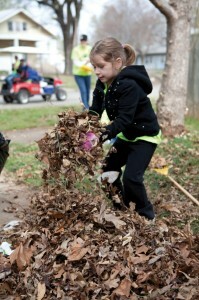 On Sun., April 6, approximately 1,200 church members representing 11 area churches worked together to have an impact on neighborhoods, an elementary school and a pregnancy center doing clean-up duties, yard work and minor repairs. “It was phenomenal. 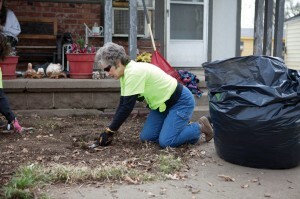 People were out doing the work,” said Andy Taylor, pastor of Ponca City, First. His church started this service experience in 2012 with more than 300 volunteers. Last year, seven churches joined with about 900 serving the Ponca City area. 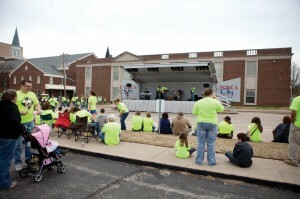 A large rally and lunch was provided for the volunteers after their morning of labor. Taylor said more than 1,000 hot dogs were served, and music ministers from the different churches led a time of worship. 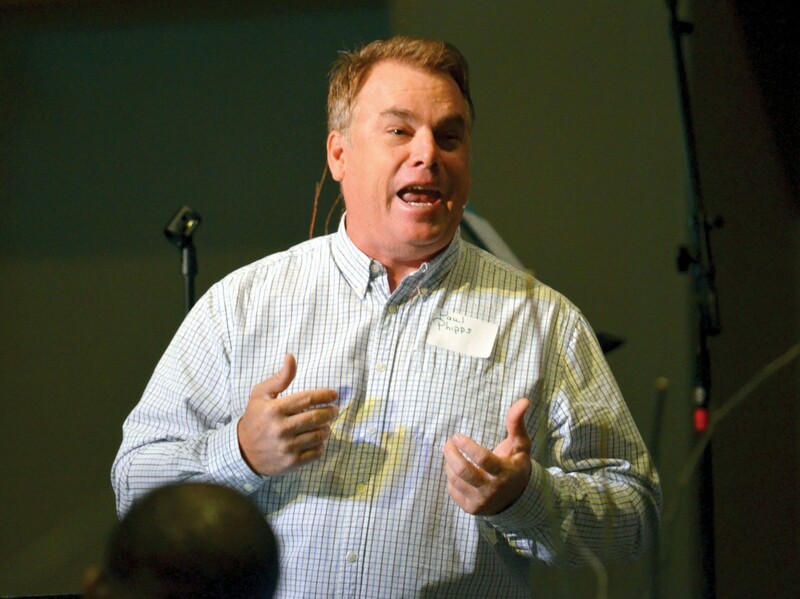 Donnie Hazelwood, pastor of Ponca City, Longwood, said his church helped 21 homes, and considered this an “entry point” for his church to build relationships. 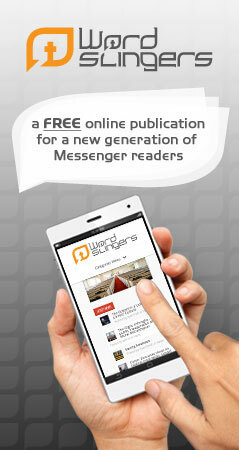 “The sense of cooperation was great.” he said, about the other churches joining together to serve. 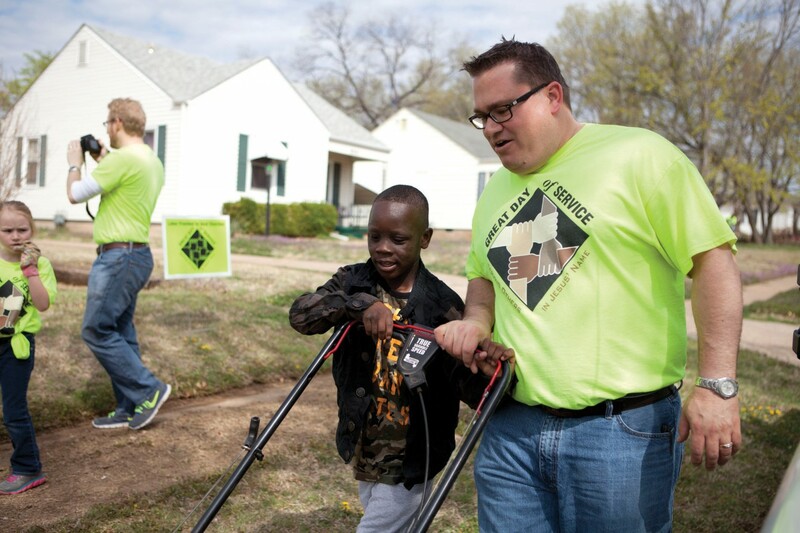 Larry Nigh, pastor of Ponca City, Northeast, said his church had 325 members working on 31 homes in the southwest part of the city. He said the day was “a huge success” as many reported sharing the Gospel and many hearts and lives were touched through the love of Jesus. “At our pre-service morning worship rally, I challenged our members to go out and ‘Minister the Jesus Way,’ based on Matt. 9:35-38,” said Nigh. 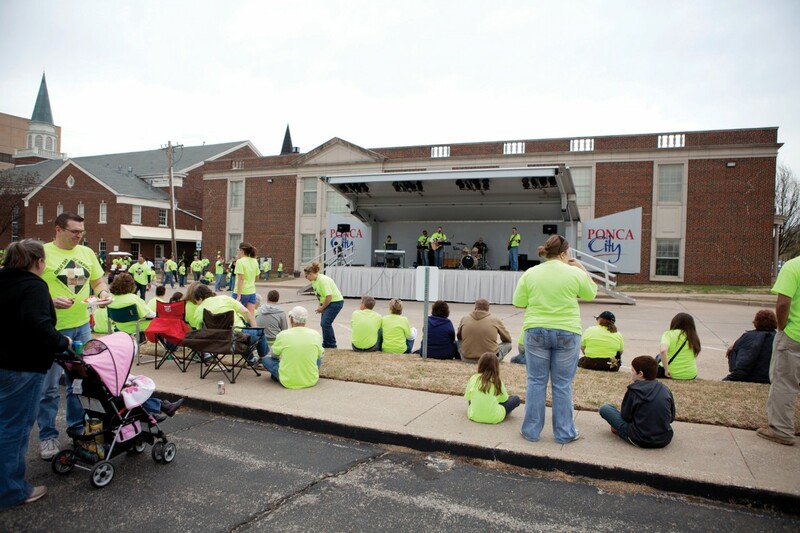 All three pastors—Hazelwood, Nigh and Taylor—emphasized Great Day of Service was not to be only about community service but allow for a greater impact to occur among Ponca City people as the churches served.